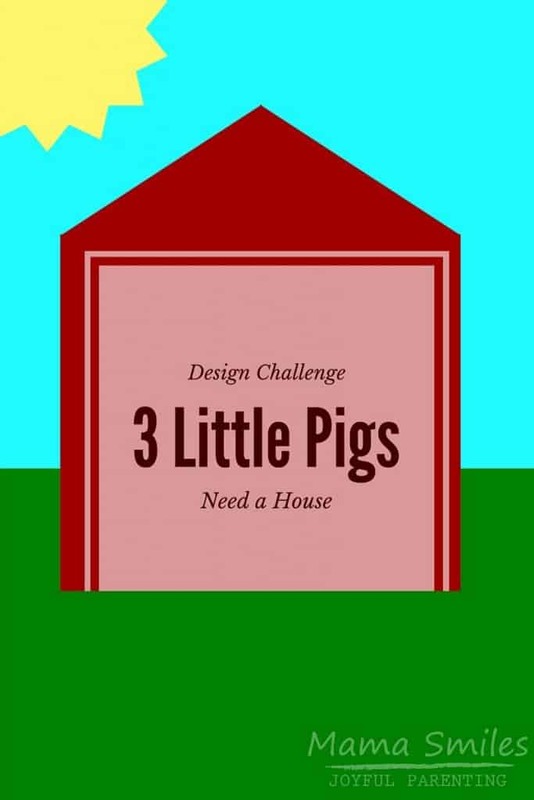 I created this “build a house for the three little pigs” design challenge for my kids after we read The Three Little Pigs: An Architectural Tale. This very fun picture book features famous buildings from around the world! I told the kids they should try out building their own homes for the three little pigs. They agreed that this was a fun idea, and I loved watching them work on this creative engineering project! Johnny says that his house is a “monster house”, designed to scare the wolf away. That might explain why his little pig is not inside the house, but up on top (where it will see the wolf from a distance and still have time to get inside) It is still structurally very sound, just in case. 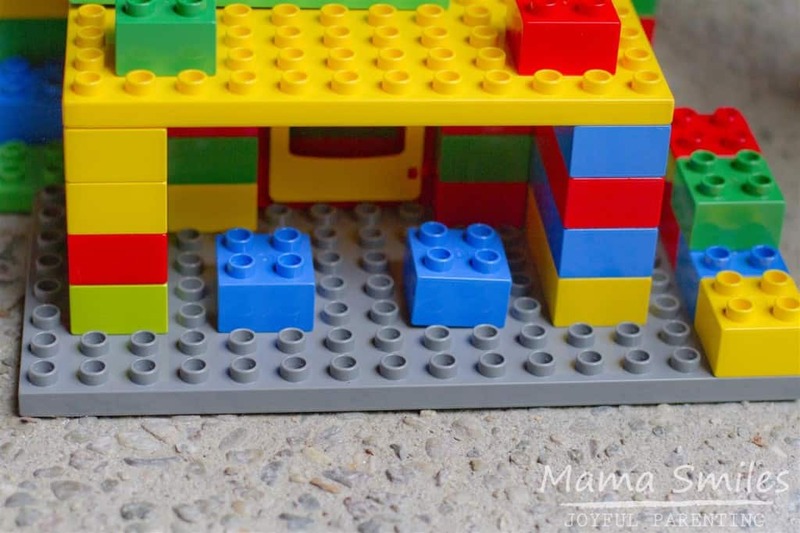 Six-year-old Lily’s house features the chimney that is so prominent in most versions of this story, including The Three Little Pigs: An Architectural Tale, which we read before starting this activity. Her house does not have a roof – or maybe it is glass? We only had one baby DUPLO pig, and nobody wanted the grown-up pig. Maybe this is why the new DUPLO farm animal sets seem to most feature baby animals? I’m not sure if her cow and horse are supposed to be pigs, or if they are decoys set up to confuse the wolf. 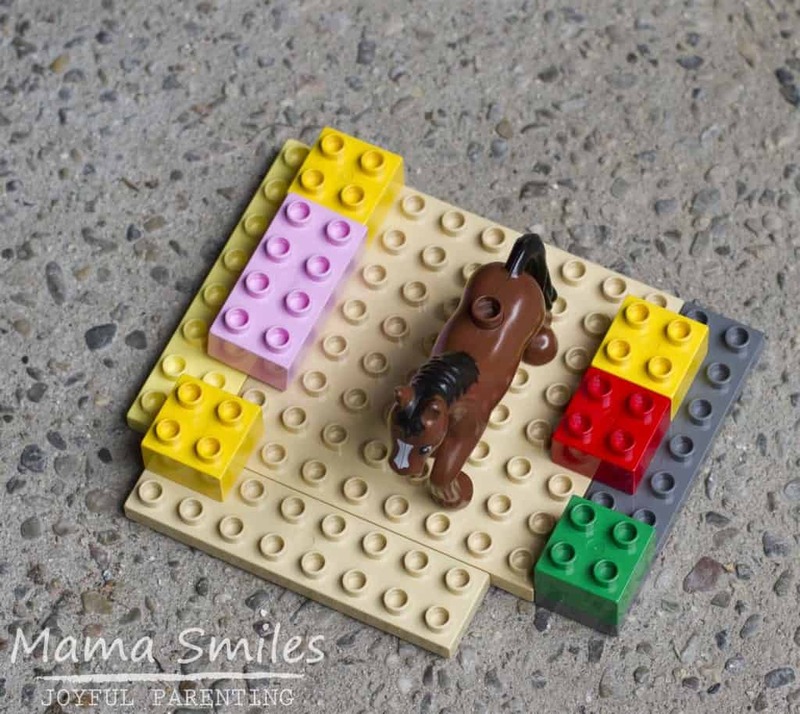 Three-year-old Anna built a nice house for this horse, with nice open space so that it can go wherever it wants. She ignored both pigs and wolf and did her own thing. What sort of house would you build for the three little pigs? This Three Little Piggies game teaches kids strategy and problem-solving. Retell the story with this Three Little Pigs finger puppet toy, these flannel board figures, or this 3D puzzle play set. These plush pigs are darling, and this three little pigs play set is incredible – the wolf can even go down the chimney! Do you have a favorite version of this classic tale that we should read? How about a fun Three Little Pigs story or activity for us to try? Drop a note on my my Facebook post or tag me on Instagram! 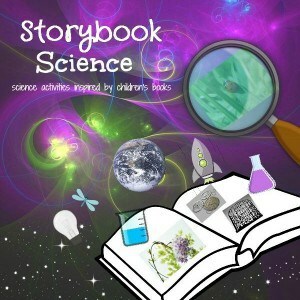 My friend Trisha has created a wonderful Storybook Science series in honor of March being National Reading Month. Click on the button above to follow along throughout the series! There are lots of fun books to and activities to explore with your kids! Earlier this month I shared another post in the series about The Way Things Work. 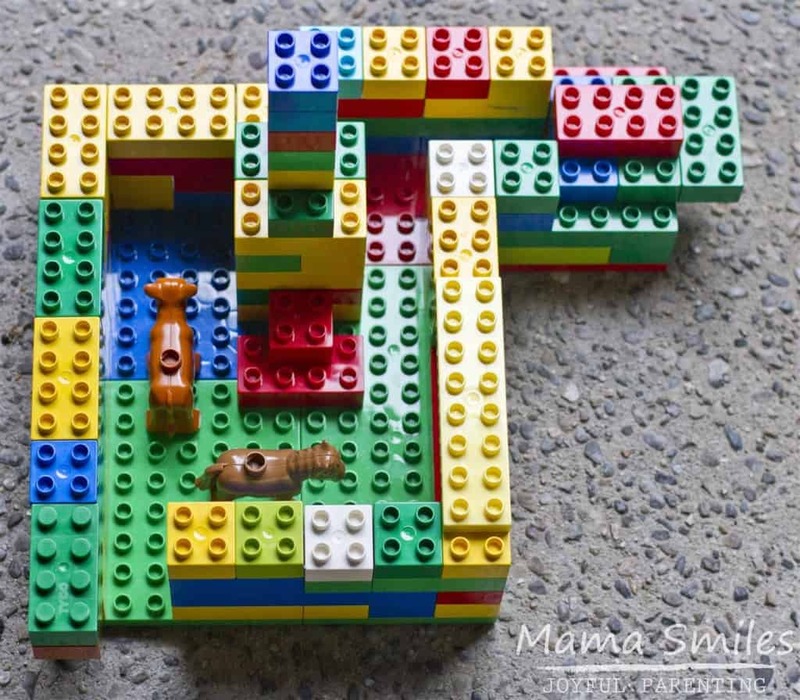 Love the idea and diverse creativity of your kids! The wolf would not stand a chance! I loved that Lily thought to add a chimney! This is such a great building challenge! I love how all of their designs are unique. I was thrilled with how individual each approach was. I read a blog post once where they made creations using tooth picks and marshmallows for this book, and then had a hair dryer simulate the wolf. I always love Lego building challenges. What fun! I contemplated pulling a hair dryer out, but given how strong the kids’ houses were the hair dryer didn’t stand a chance. 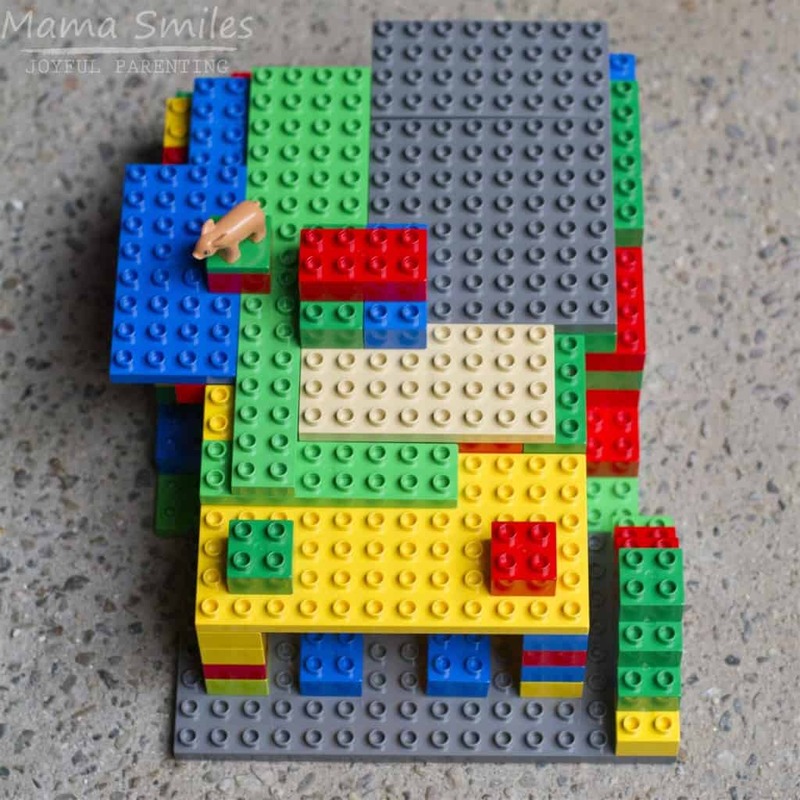 What a fun Lego idea! Fun idea! Our favorite version is “Wolf Pie“. My 5 and 3 year old boys love it. We haven’t read that one! Just requested a copy from the library – thanks for the recommendation!